Doctoral researcher at the University of Nottingham and the recipient of a Vice-Chancellor’s scholarship. 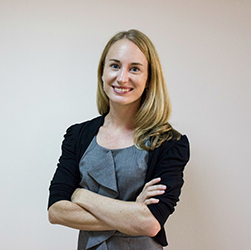 Emily’s doctoral research is a study of the experiences of teachers in international schools with a focus on those who work in schools run by for-profit education management organisations. Her research interests include education policy and privatisation, and their influences on teachers’ work. Prior to her postgraduate studies, Ms. Winchip was an international educator and teacher, teaching primary and secondary music in the United States, Kuwait and the United Arab Emirates.